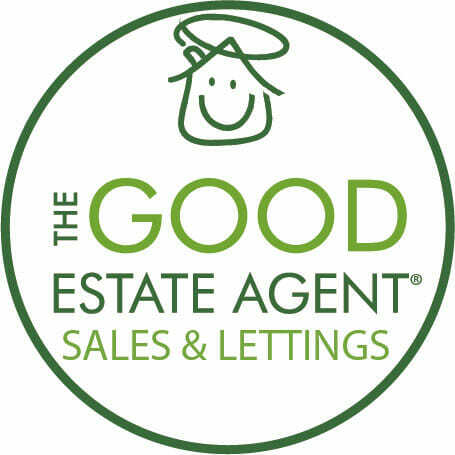 The Good Pack Ltd trading as The Good Estate Agent understands that your privacy is important to you and that you care about how your personal data is used. We respect and value the privacy of everyone who visits this thegoodestateagent.co.uk our site and will only collect and use personal data in ways that are described here, and in a way that is consistent with our obligations and your rights under the law. We area member of Propertymark (ARLA, NAEA) and The Property Ombudsman. Third Parties including Google & Facebook whose content appears on our Site may use third-party Cookies, as detailed below in Part 14. Please refer to Part 14 for more information on controlling cookies. Please note that we do not control the activities of such third parties, nor the data that they collect and use themselves, and we advise you to check the privacy policies of any such third parties. We use the following automated system’s for carrying out certain kinds of decision-making and profiling. If at any point you wish to query any action that we take on the basis of this or wish to request ‘human intervention’ (i.e. have someone review the action themselves, rather than relying only on the automated method), the GDPR gives you the right to do so. Please contact us to find out more using the details in Part 15. Callcredit (Transunion) reporting – Used in determining If a tenant is suitable for a tenancy. We will not keep your personal data for any longer than is necessary in light of the reason(s) for which it was first collected. Depending on the services you use there are different legal time limits for how long we must keep your data. Where we transfer your data to a third party based in the US, we ensure they are part of the EU-US Privacy Shield. This requires that third party to provide data protection to standards similar to those in Europe. More information is available from the European Commission. we may share your personal data with other companies in our group. This includes subsidiaries or our holding company and its subsidiaries. In addition to your rights under the GDPR, set out in Part 5, when you submit personal data via our Site, you may be given options to restrict our use of your personal data. In particular, we aim to give you strong controls on our use of your data for direct marketing purposes (including the ability to opt-out of receiving emails from us which you may do by unsubscribing using the links provided in our emails or at the point of providing your details and by managing your Account. By using our Site, you may also receive certain third-party Cookies on your computer or device. Third-party Cookies are those placed by websites, services, and/or parties other than us. Third-party Cookies are used on our Site for Google Analytics and Facebook remarketing of related services. For more details, please refer to the table below. These Cookies are not integral to the functioning of our Site and your use and experience of our Site will not be impaired by refusing consent to them. Before Cookies are placed on your computer or device, you will be shown a consent bar requesting your consent to set those Cookies. By giving your consent to the placing of Cookies you are enabling us to provide the best possible experience and service to you. You may, if you wish, deny consent to the placing of Cookies; however certain features of our Site may not function fully or as intended. Postal Address: Office 1, Lemanis House, Stone Street, Lympne, Hythe, Kent CT21 4JN.